Are you a fantasy author based in the England, Wales, Scotland or Northern Ireland? Are you looking for a literary agent to sell a book you’ve written to a publisher and get you a publishing deal? Below you’ll find 17 top UK literary agents for fantasy novels. With over 14 years of experience working in the publishing industry, Jamie Cowen is a literary agent with The Ampersand Agency, a literary agency based out of Oxfordshire, UK. He represents a wide range of genre fiction, which includes fantasy. Projects that he’s represented include “The Lazarus Gate” by Mark A. Latham, “Snakewood” by Adrian Selby, and “The Book of Shed” by Joel Bird. Jamie is currently accepting queries at this time for fantasy projects via email. Before you send anything in, it’s highly recommended that you review Ampersand’s submission guidelines to make sure you meet all minimum requirements. You should include the first three chapters of your manuscript, a brief outline, and a short author biography to introduce yourself. Alexander Cochran is a literary agent with C+W Agency, a literary agency based out of London, UK. While Alexander represents both fiction and nonfiction, he particularly loves projects of dark thrillers and crime novels, science fiction, and fantasy. He has represented a number of award-winning authors who have earned accolades like the BSFA Best Novel award, the Arthur C. Clark Award, and The Kitschies. He is currently accepting queries via email. Be sure to include the first three chapters (or the first 50 pages of your manuscript), as well as a brief synopsis that quickly mentions your story’s themes, settings, characters, and the plot. For more information, you can review C+W Agency’s submission guidelines. Please note that due to the high volume of submissions that Alexander receives, it can take up to two months to receive a response. As a literary agent with Janklow & Nesbit UK, Will Francis represents literary fiction, thrillers, speculative fiction, and genre writers –including all things fantasy! With prior experience working with major publishing houses like Random House, Will is also the Director of the UK office. He is currently accepting queries via email, but you’re strongly encouraged to review Janklow & Nesbit’s submission guidelines before proceeding. You should include a cover letter, a synopsis of your manuscript, and the first three chapters (or first 50 pages) for Will’s consideration. Be sure to mention in your email’s subject line Will’s name so that it can be forwarded to him. John Jarrold is a literary agent and founder of John Jarrold Literary Agency, which was founded in 2004 and based out of the UK. John specializes in science fiction and fantasy, and has worked with authors like Christopher Evans, Curtis Jobling, and Gaie Sebold. He is currently accepting queries via email, and asks that you include a one-paragraph summary of your work, along with a short list of comparative titles in the same genre. You should also include the first six chapters of your book for his consideration. John states that he should reach out to you within two weeks concerning your submission, but if he doesn’t, please feel free to send a follow-up email. Philippa Milnes-Smith is a literary agent and managing director with LAW Agency (Lucas Alexander Whitley), a literary agency based out of London, UK. She primarily represents children’s books, but is totally accepting of stories with fantasy, adventure, and ghostly elements. She has prior experience working with Penguin Children’s Books and has previous experience as the president of the Association of Author’s Agents. She is currently accepting queries via email. Be sure to address your submissions to Philippa so that it can be forwarded accordingly. You should include a one-sentence sales pitch for your book, a two to three sentence summary of your project, a brief author bio, and if you’ve submitted your work to other agencies or publishers so Philippa knows how quickly to get back to you. Sandra Sawicka is a literary agent with Marjacq, a literary agency based out of London, UK. Having joined in 2014, Sandra now represents a wide selection of talented authors like Joseph Brady, Mary Chambers, and Rose Edwards. She specializes in genre fiction, including crime, horror, science fiction, and fantasy. She’s currently very interested in projects that are high concept, have anti-heroes, feature action-packed space operas, and spooky mysteries. She is currently accepting queries via email. She notes that she does not accept projects that are overtly spiritual, feature animal cruelty, or are heavy tear-jerkers. For more information, you’re strongly encouraged to review Marjacq’s submission guidelines. You should include the first 50 pages of your manuscript as an attachment, along with a synopsis and cover letter. If interested in your project, Sandra should reach out to you promptly. Sonia Land is a literary agent and one of the founders of Sheil Land Associates, a literary agency that was founded in 1962 and based out of London, UK. The agency itself represents a wide range of fiction and nonfiction, which includes fantasy, paranormal, and science fiction. Sonia is currently accepting queries either via email or through regular post. Be sure to include a cover letter, a synopsis of your manuscript, and the first three chapters for her consideration. Be sure to review Sheil Land’s submission guidelines to ensure that your submission meets their formatting requirements. Based out of London, UK, John Berlyne is a literary agent with Zeno Literary Agency. Specializing in the speculative genres of science fiction, horror, and fantasy, John is an excellent choice to consider when it comes time to find a literary agent to represent you and your work. He is a huge fan of high-concept fantasy, citing the works by J.R.R. Tolkien and Neil Gaiman as some of his favorites. He is unfortunately closed to queries at this time, but you’re strongly encouraged to check back at a later date when this status may change. In the meantime, you can review Zeno’s submission guidelines to prepare your project for consideration. For more information or general inquiries, you can reach John via email. Caroline Sheldon is a literary agent and the founder of Caroline Sheldon Literary Agency, which is based out of London, UK. Having earned the Literary Agent of the Year Award in 2012, Caroline is a talented agent who fantasy writers should consider when on the search for representation. While Caroline primarily represents children’s books, she’s always open to considering full-length novels for young adults, and fiction for middle graders. She is currently accepting submissions via email. Before you send anything in, however, be sure to review her submission guidelines to make sure your projects meets their minimum requirements. You should include a one-page synopsis of your work, along with the first three chapters (or first 10k words) for her consideration. If interested in your project, Caroline will reach out to you shortly to request your full manuscript. As the founder of the London-based Darley Anderson Literary, TV, and Film Agency, Darley Anderson is a talented literary agent who has represented bestselling authors like Martina Cole, Lee Child, Adrian Plass, and Margaret Dickinson. He represents a wide range of nonfiction and fiction projects, the latter of which includes the genre of fantasy. If you have a refreshing new story to tell, Darley may be very well be interested in representing your work. Darley is currently accepting submissions via regular mail only. He’s especially interest in stories based in either America or Ireland, and feature tear-jerking love stories. For more information, be sure to review the agency’s submission guidelines. If you haven’t heard back from Darley within 8 weeks, he encourages you to reach out. Harry Illingworth is a literary agent with DHH Literary Agency, a London-based literary agency. He represents a wide range of clients like Mark de Jager, Keith Dickinson, and Ada Palmer. With previous work experience at major publishing companies like Michael O’Mara Books, HarperCollins, and Pan Macmillan, Harry know exactly what it takes to help a manuscript make it through the publishing process. He loves genre fiction, especially science fiction and fantasy projects. He’s currently on the lookout for speculative fiction with high-concepts and unique narrative voices. He does not represent young adult fiction unless there is an obvious overlap toward adult readers. He is currently accepting submissions via email. Be sure to include a cover letter and the first three chapters of your manuscript for his consideration as an attachment. For more information, be sure to check out DHH Literary Agency’s submission guidelines. Eve White is a literary agent and the founder of Eve White Literary Agency, which is based out of the city of London, UK. As the winter of the British Book Awards Literary Agent of the Year in 2017, Eve is a talented literary agent who has represented a wide range of bestselling and award-winning authors. Eve represents both fiction and nonfiction titles, including fantasy and science fiction. If you’re interested in working with Eve, you can send her a submission via email. Be sure to indicate the intended audience of your book, include the first three chapters of your manuscript for consideration, a brief synopsis (no more than 300 words), your book’s title, and a short author bio. Eve aims to respond to all submissions within a week, so you should hear back shortly. For more information, be sure to check out her submission guidelines. Oli Munson is a literary agent with A.M. Heath Literary Agents, another London-based agency. He has represented authors like Mari Hannah, David Mark, Julia Chapman, and David Jackson. While Oli represents varying genres of fiction, he especially loves to work with speculative fiction –inclusive of fantasy, science fiction, and horror! He also loves to work with projects with unlikely underdog heroes and heroines. He is currently accepting submission through A.M. Heath’s online submissions form. Be sure to indicate that you would like Oli has your preferred agent. Include your contact information, the title of your book, it’s genre, a cover letter introducing yourself and your project, a brief synopsis of your manuscript’s plot, and attach a sample chapter for his consideration. Hayley Steed is an associate literary agent with Madeleine Milburn Literary, TV & Film Agency. She has prior work experience as an intern with several top UK literary agencies and PR companies, where she was shortlisted for the PPC Award for her work with bestselling authors. Hayley is actively seeking submissions for commercial fiction of various genres, including speculative fiction, horror, grounded science-fiction, high concept novels, and contemporary women’s fiction. If you’re interested in working with Hayley, you can send in a submission via email. Be sure to indicate that you’d like Hayley as your preferred agent, include the title of your book, a one-line sales pitch, a cover letter introducing your book and yourself, a one-page synopsis, and the first three chapters of your manuscript for her consideration. For more information, be sure to review her submission guidelines. If interested, Hayley should reach out to your shortly to discuss reviewing your full project. As a literary agent with Hardman & Swainson, a literary agency based out of London, UK. Originally from Belgium, Thérèse moved to England as a ten and earned an MA in History for the University College of London. As a literary agent, she is wide open when it comes to submissions. She’s always willing to consider well-written and developed fantasy novels that feel real and offer original concepts. You can send your submission to her via email. You should include a cover letter, and attach a one-page synopsis and full manuscript for consideration. If interested in your project, Thérèse should get back to you promptly. For more information, be sure to review Hardman & Swainson’s submission guidelines. Louise Buckley has been a literary agent with Zeno Literary Agency since 2016. Prior to her time there, she used to work as an in-house editor for companies like Pan Macmillan and Dorling Kindersley, so she knows exactly what a brilliant new story looks like. Louise represents a wide range of fiction, including women’s fiction, crime fiction, and thrillers, but she also loves to represent fantasy projects. She’s especially interested in urban fantasy with hints of magic. Louise is unfortunately closed to submissions at this time. For more information or general inquiries, you can contact her via email. Gill McLay is a literary agent and founder of Bath Literary Agency, which is based out of Bath, UK. Specializing in children’s books, Gill handles both fiction and nonfiction representation, regardless of genre or subject matter. Having earned a BA with Honors in Publishing & Marketing from Oxford Brookes University, Gill has worked with a number of publishing houses like Barefoot Books and Egmont. Gill is currently accepting submissions via email. You should include a short synopsis of your book and include the first three chapters (excluding prologues) for her to review. You can find her submission guidelines here. 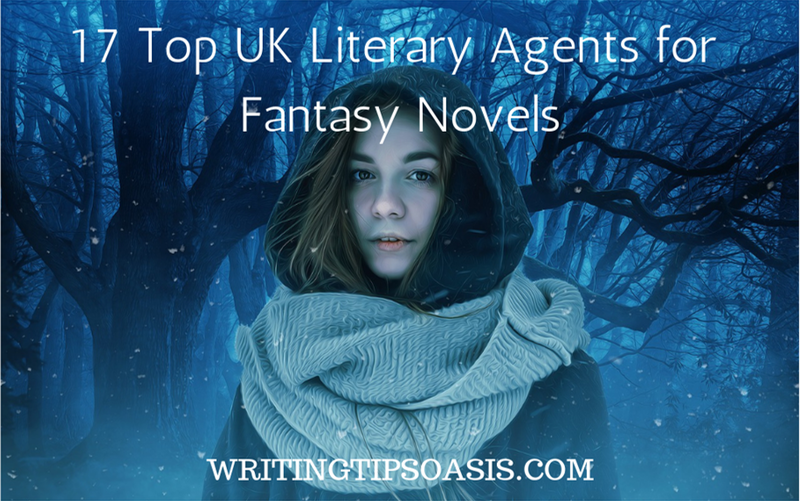 Are you aware of any other UK literary agents for fantasy novels? Please tell us about them in the comments box below!